Protect what is most precious to you with this silver plated birth certificate holder and stand from The Juliana Collection by Widdop. 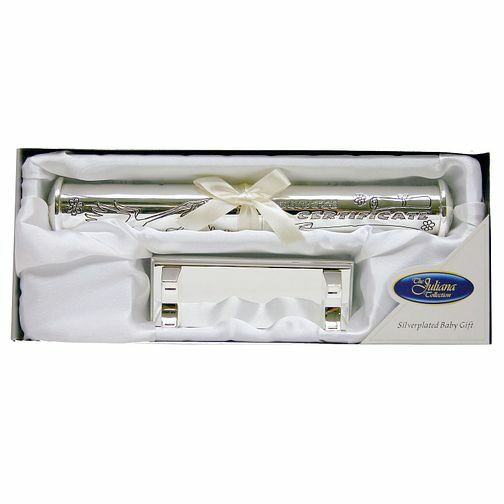 Presented in a beautiful gift box, the engraved holder will keep your loved ones birth certificate pristine. This makes for the perfect baby or christening gift.